Welcome one and all to a brave new venture! 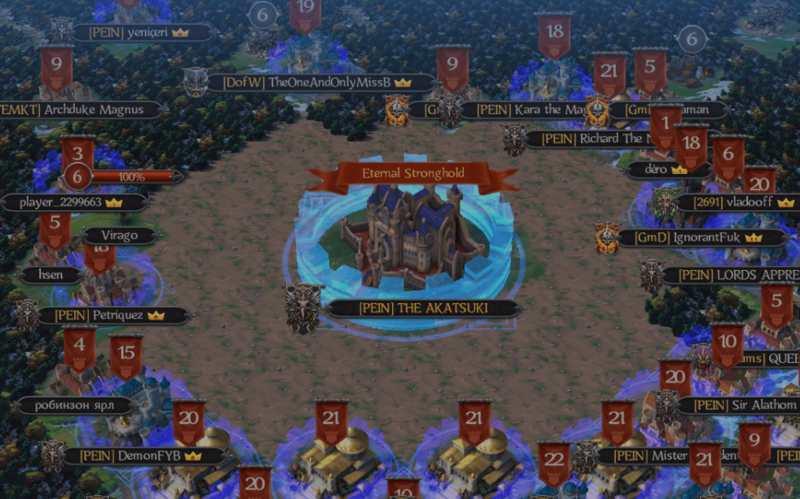 This marks an exciting time in our realm's short history, one that will hopefully last through the ages! The Chronicle has arrived and with it a source of enlightenment that will serve to enrich your “Throne” experience! May this Chronicle open your mind and serve as a valuable guide to those who read it in the coming days. 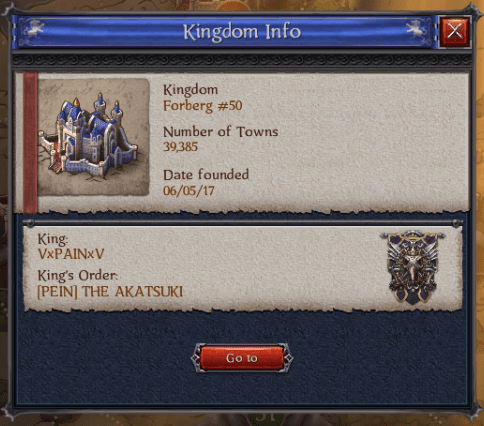 Today, we bring you news from the newest of our lands, the very frontier of exploration - the Kingdom known as Forberg! In these exciting lands, much is happening and many new souls are putting down their roots. Some are simple farmers while others are brave knights seeking fortune and fame. Many of those who have come to inhabit these new lands have come together to form Orders. In fact, there has been a proliferation of such Orders, over 732 have been formed to date! 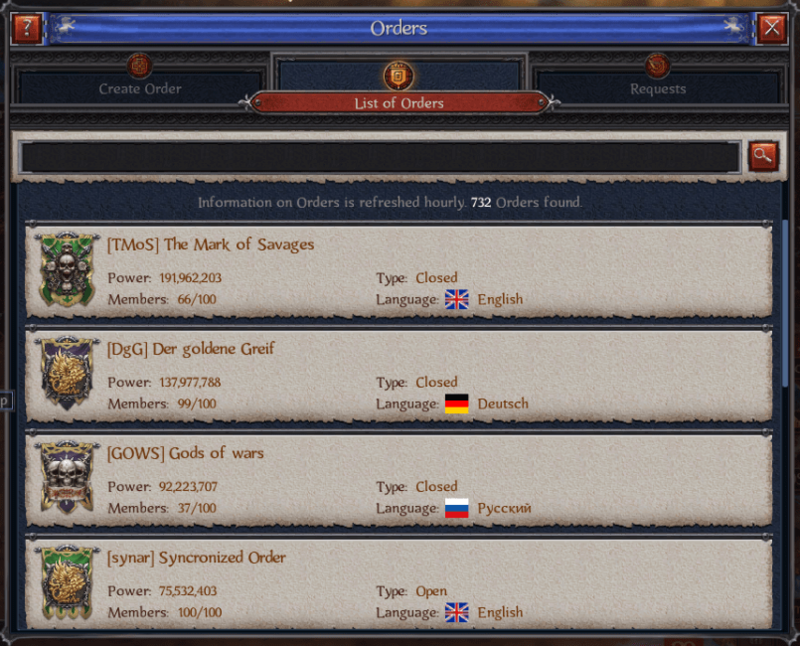 Some of the most notable names are those who dominate the charts, such as the Mark of Savage, the Der Goldene, the Gods of Wars, and the Syncronized Order. All notable and formidable forces in their own right. Already many alliances have been formed as many Orders have chosen not to cross swords and instead seek to grow in these early days. Yet this is unfortunately not always the case and many battles have already been fought and many more lives have been lost. 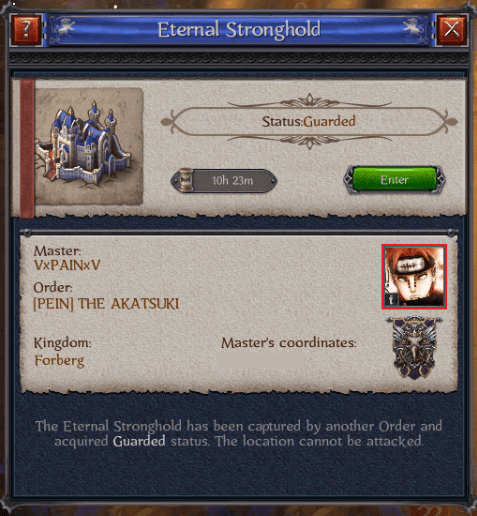 Some of the fiercest battles are those fought over the Eternal Stronghold, the most prized territory in all the land and the throne of the Kingdom’s King. At the time of writing, as can be seen above, the Order known as The Akatsuki control this territory and must fight bravely in the coming days if they wish to keep it. Things have been changing at a rapid pace and the future of the Kingdom is as uncertain as ever, but one thing that is certain is that the Chronicle will be here, on the front lines, reporting back to you with all the most important news. Until then, be safe and keep your blade sharp - you never know when you might need it!